We all look out for Venus, the second brightest light in the night sky after the Moon. Venus is both the Evening Star and the Morning Star and shines with a constant reassuring brightness which is always comforting to spot. 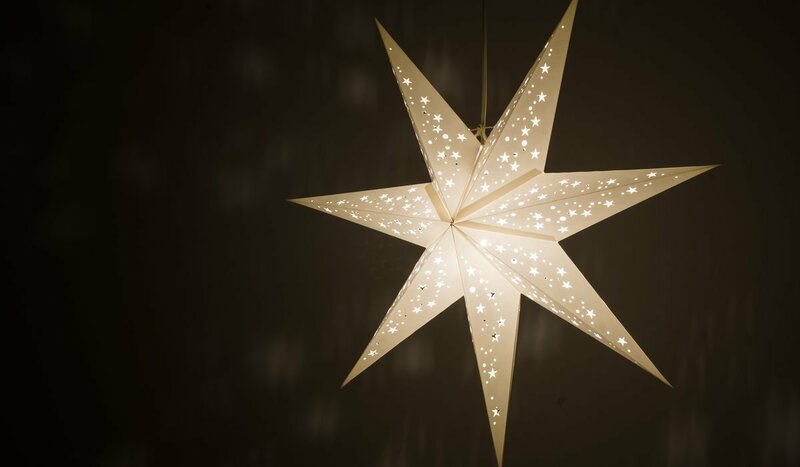 Like their namesake, our new ‘Venus’ 7-tipped star ceiling shades glimmer with a mesmerising brilliance and cast a beautiful atmospheric glow, ideal for bedrooms, parties and chillout spaces. Venus Brilliant White is a hand-made 7-tipped light shade in a simple crisp white and is a design classic, at home in any room of the house. Beautifully versatile, its clear light, clean lines and stylish geometric form make it a perfect addition to any colour scheme and any space. This brilliant white lampshade combines a clear, neutral tone with captivating lighting effects - watch as light twinkles through hundreds of tiny star-shaped perforations, casting a beautiful display of starry shapes on the ceiling, walls, or window glass. 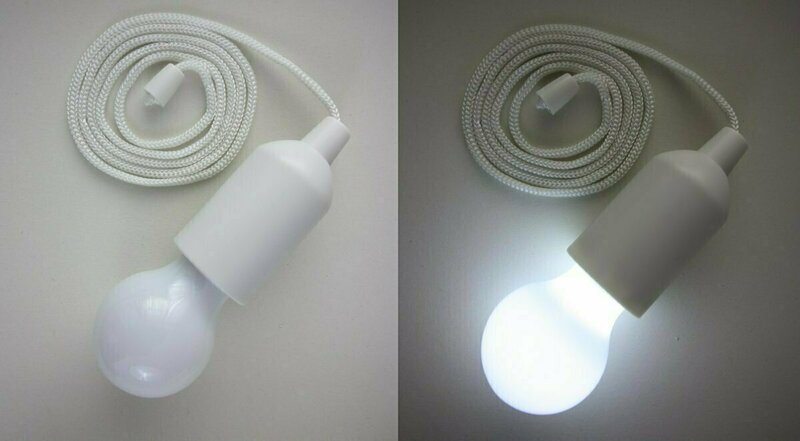 The light produced by this white lampshade is clean and bright and ideal for reading - choose this Starlight for the clearest and the brightest illumination. 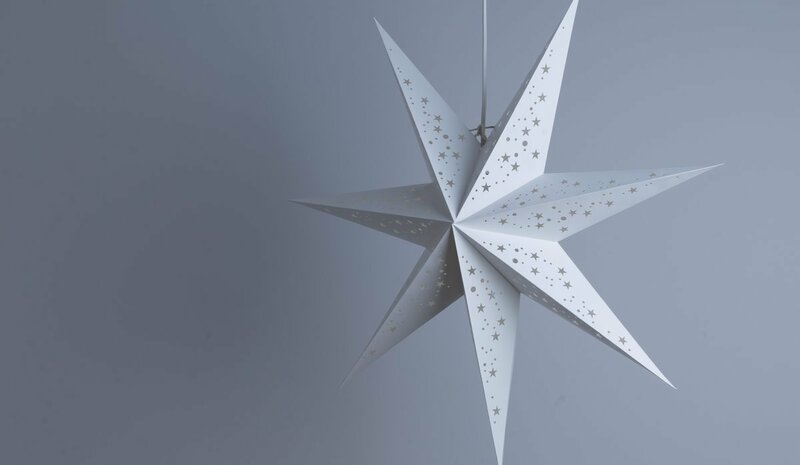 This paper star lantern also makes a beautifully classic Christmas decoration that can be reused year after year. 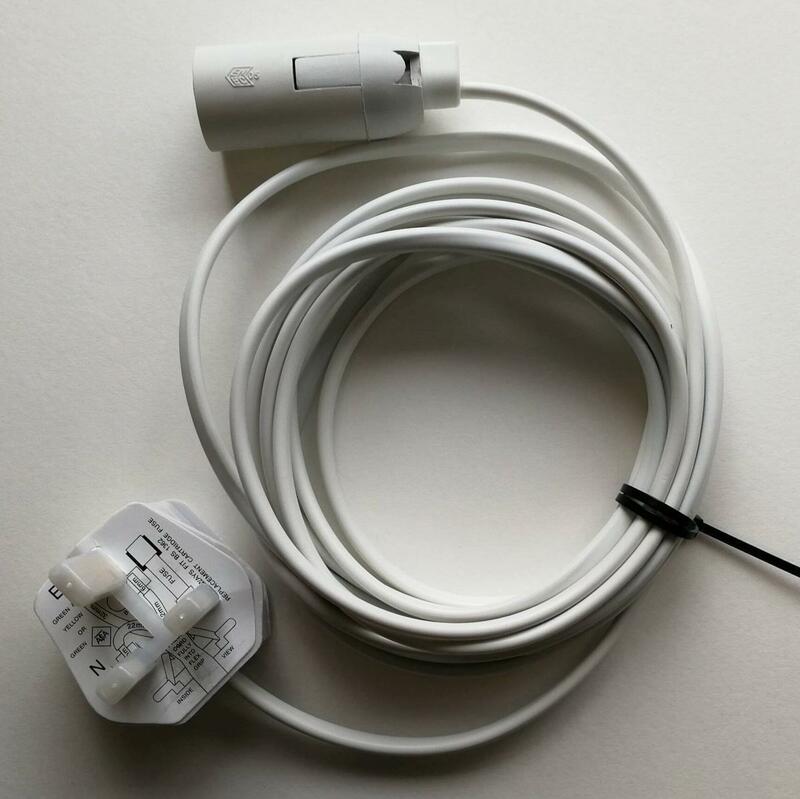 Try it in your window and swap an LED light for an electric bulb if there is no power source. Pair it up with Ivory Lace Deluxe or Venus Aurora Red for a truly spectacular Christmas display!